Let’s be honest, if a Dependent Pass (DP) holder comes to Singapore and wants to start a business, there will be many questions raise as to why a dependent pass holder need to start a business and so on. However, it is our duty to get you the right advice in the matter. The DP is a permit that allows spouses, children or any dependent of a person working in Singapore – who possesses an Employment Pass or S Pass – to move in and stay with them. As a DP holder, you can own a Private Limited Company (Pte Ltd) in Singapore. There are several advantages choosing to incorporate a Private Limited Company. A Pte Ltd enjoys more favorable tax rates, legal protection and easier access to capital. The downside of a Private Limited Company is they come with high compliance and operation costs. Unfortunately, DP holders cannot open a bank account of their own. They normally share a joint account with their working spouse. If they want to open a bank account, they will then need to apply for an Employment Pass. Paul Hype Page can assist you with this. However, there is a point that you need to take note. If your spouse is a holder of the Singapore S Pass, you will not be able to qualify to obtain a DP. A child or marriage partner of an individual holding an Employment Pass (EP) can get a Letter of Consent so as to start a business or get employment. DP holders can work in Singapore once their employer obtains a Letter of Consent from the Ministry of Manpower (MoM). The Letter of Consent is an official document given by the MOM to permit qualified DP, Long Term Visit Pass (LTVP) or Long-Term Visit Pass Plus (LTVP+) holders to look for employment or run a business in Singapore. Although you have the LOC and you are able to start a business in Singapore with your DP, you are still unable to be a director of the company. Do note that in order to be a Director in the Private Limited Company in Singapore, you would have to apply for an Employment Pass. Therefore, out professional advice to you is to first register your company, and then apply for an Employment Pass after the company has been incorporated so that you can be the director for the company. What is a Dependant Pass? 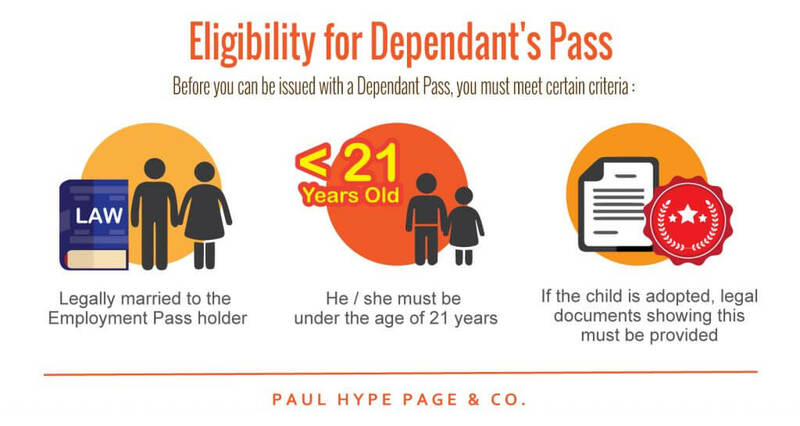 Dependant Pass (DP) is a permit that allows spouses and kids of individuals who possess an Employment Pass or SPass to join them in Singapore. Legally married partners and children who are under the age of 21 are allowed to apply for this permit. However, holders of the employment pass must be earning a minimum of S$6,000 per month (as of 1 January 2018) for them to bring their dependents into this country. 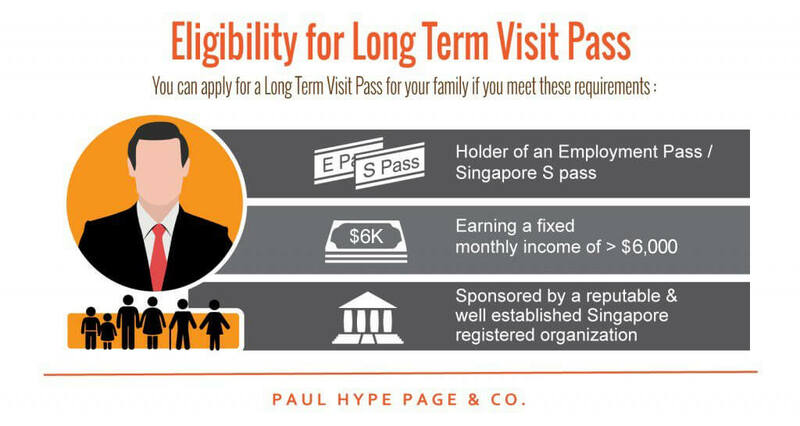 NOTE: If a member of your immediate family (spouse and children) is a holder of the Singapore S Pass, he or she will not qualify for a Dependant Permit (DP). An individual with a DP is eligible for employment in any organization or industry in Singapore. The marriage partner of an individual with employment pass (EP) can get a Letter of Consent to work in Singapore. This is an official document (LOC) given by the Ministry of Manpower (MOM) to permit qualified Dependant Pass, Long Term Visit Pass (LTVP) or Long-Term Visit Pass Plus (LTVP+) holders to look for employment. However, if you want to start a business, you should apply for Employment Pass instead. You must be an immediate family member of an EP holder. It is imperative to point out that your employment as an LOC holder depends on the employment status of your spouse. This means that if your marriage partner gets laid off or is relocated from Singapore, you will also lose your LOC status. However, if your employer can directly secure an EP for you, meaning that you will not depend on the status of the Employment Pass of your spouse, you will not lose your right to work in Singapore. The requirements for an E pass are strict; through background checks will be done to ascertain your educational, professional and criminal backgrounds. This is done to ensure that your application meets all the laid down requirements and procedures. The processing time for a letter of consent takes approximately one week. With a Letter of Consent, you can now work in Singapore. (Note that LOC can not be a director of the company or own the company). This is a new scheme (LTVP+) was recently introduced by the country’s Immigrations and Checkpoints Authority. LTVP+ allows foreign spouses of Singapore nationals to stay a longer period and also to benefit from the healthcare services and employment opportunities (with LOC) in the country. What are the benefits of employing DP holders (using LOC) to Singapore Companies? Singapore companies will benefit from increased labor force. Those with these documents can be employed by different sectors in the country hence boosting productivity in the country and the economy as a whole. Due to the shortage of manpower in the country, the Singapore-based companies will experience a decrease in operating costs. Initially, the workforce was understaffed forcing the companies to increase their salaries to maintain them. But with an additional workforce, the costs will go down. Since Letter of Consent holders are not considered as expatriates, there will be an increase in Singapore’s labor pool. This will enable future employers to save a lot of money spent on government levies especially when they decide to employ individuals who have LTVP and LTVP+ permits.